In this article we will discuss the definition of binge eating disorder, what causes binge eating, and how to binging and eventually return to normal and healthy eating habits. According to the National Eating Disorders Association (NEDA) approximately 30 million people in the U.S. suffer from an eating disorder. For many years the focus of study and treatment has been on anorexia nervosa and bulimia nervosa. In recent years binge eating disorder has been recognized as an equally serious disorder, requiring professional treatment and significant support in order to overcome it. Have you ever felt like your eating is out of control? Perhaps you've found yourself halfway through a bag of chips, not even aware you'd eaten that many, and you couldn't help asking yourself "How can I stop eating when bored?" Or maybe you can't find a better way to cope with stress than turning to your refrigerator, seeking an escape in whatever food your eyes land on first. 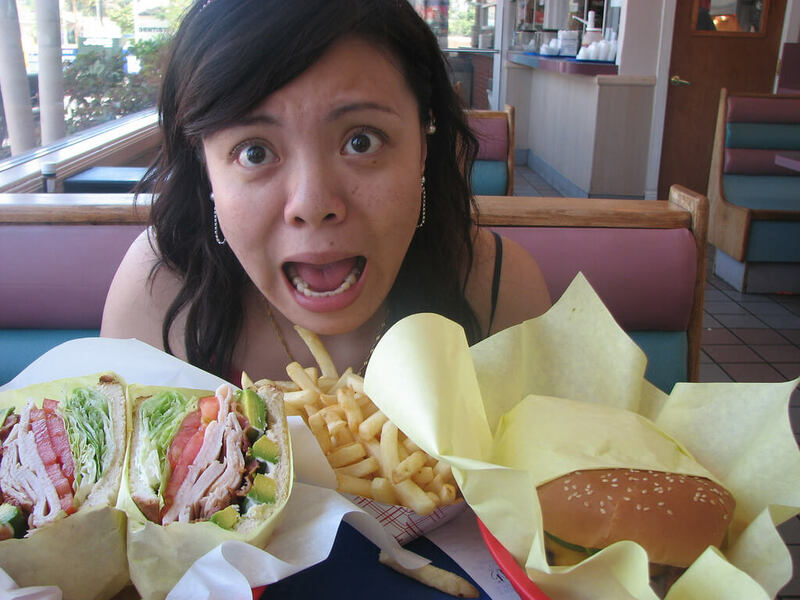 Emotional eating may be related to binge eating. Or you might not have any idea what's causing you to reach for more food than you used to. All you know is that when you eat you feel out of control. And you want to know how to stop eating so much. You want to understand what causes out of control food binges and how to stop yourself from eating when bored or emotional, so you can get back to a healthier, more balanced life. If you've asked yourself any of these questions or feel that you can't control yourself when eating, you may have binge eating disorder. This is a serious disorder that generally requires the help of a mental health professional to get under control. Binge eating can appear to be a variety of different eating issues; it can seem as simple as boredom eating, be a vice masquerading as a tool for managing stress or coping with past traumatic experiences, or be an unhealthy relaxation technique or a way to indulge and unwind. However, the official definition of binge eating disorder, according to the Mayo Clinic, is when someone frequently consumes unusually large amounts of food and feels physically unable to control what and how much they are eating. Often people suffering from binge eating disorder feel trapped in a compulsive cycle of bingeing on food and subsequent shame. The shame may hinder the person who suffers from binge eating disorder from seeking the help that they need. They are able to recognize that what they are doing is unhealthy and unnatural but feel unable to resist the compulsive urge to eat when it strikes. Instead, they find a way to rationalize the binging by promising they'll quit "after one more binge" or will finally seek treatment "on the first of the month." However, when those arbitrarily set timeframes actually transpire, someone with binge eating disorder will generally fall back on the overeating habit, unable to figure out how to ignore the desire for food and stop binging. Additionally, unlike anorexia nervosa or bulimia nervosa, there is often a heightened sense of shame and embarrassment associated with binge eating disorder that prevents those experiencing it from admitting they have a problem and getting help. To someone unfamiliar with the disorder it can appear to be a simple lack of willpower, a perception which contributed to the delay in its being recognized as a legitimate eating disorder. Binge eating disorder can leave a person with feelings of hopelessness as they struggle to understand how something as natural as eating could feel so difficult to regulate. It can severely damage your self esteem and leave you wondering how to stop overeating and start eating normally again. These symptoms of binge eating disorder are often well hidden by anyone suffering from the disorder in an attempt to avoid confrontation about the issue and possible judgment from those who don't understand that it's more than simply liking to eat too much. Instead, people with binge eating disorder will go out of their way to act as if everything is fine, eating normal amounts when they're with other people. If you're experiencing any of these symptoms it may be time to seek professional treatment to control binging and avoid further mental and physical health problems caused by this disorder. If you think you have binge eating disorder there are online assessments than can help you determine the severity of your symptoms and whether or not you should see a professional for diagnosis and treatment. However, it's important to understand these assessments aren't a substitute for professional opinion. They can simply be a helpful tool in your journey to discovering how to overcome binge eating disorder. 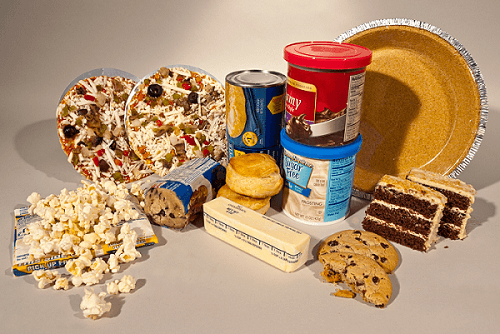 What causes binge eating disorder? Like many mental illnesses, binge eating disorder doesn't have one specific cause. It can affect various people at different stages in life for different reasons. Current theory suggests that binge eating disorder may have "a neurological basis with genetic and environmental risk factors" (Binge Eating Disorder, n.d.). Here we'll review the most common causes associated with binge eating. Research on the neurological basis of binge eating disorder points to a potential reduction in impulse-control related brain activity in those who struggle with binge eating as a cause of this mental disorder. This means that some people may be more susceptible to this disorder because their brain simply doesn't control physical and mental urges as well as others, leaving them susceptible to compulsive behavior like binge eating. 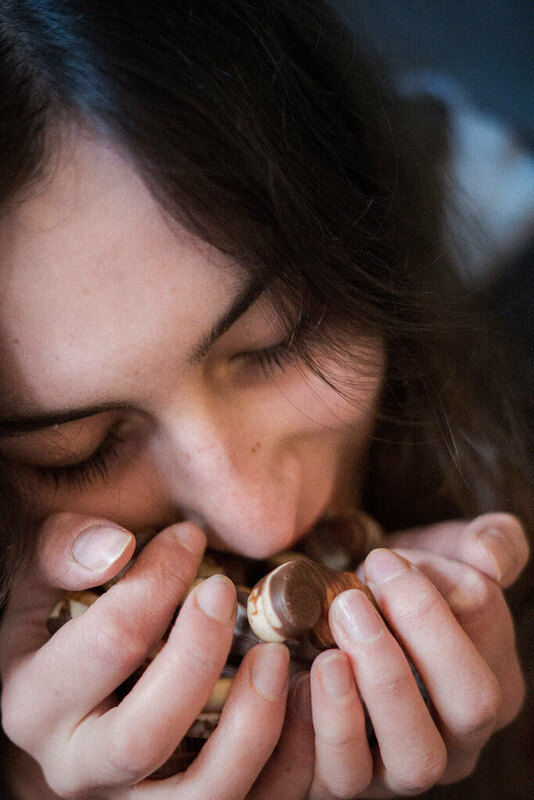 Without the proper level of impulse control the decision to ignore the urge to overeat becomes much more difficult and makes it feel as if the sufferer has no power to "say no" to the need to overeat. Additionally, there is also some evidence that suggests "dopamine signally converts sensory stimuli into processes that may generate or 'enhance' the wanting of a particular food" (Binge Eating Disorder, n.d.). As many know dopamine neurons are neurotransmitters that are activated when something good happens (think moments of pleasure like sexual relations, a satisfying workout, etc.) (Newton, 2009), which is part of the human process of learning about rewards. But if this dopamine experience is enhanced that can lead to an excessive desire to experience whatever is producing the please, which for people with binge eating disorder would be the food they feel compelled to binge on. Beyond the neurological causes of binge eating disorder, it's also important to know the genetic and environmental risk factors currently associated with it in order to understand how to control binge eating. Unfortunately, family history of eating disorders of compulsive behavior can be an indication that individuals will be at a greater risk of developing binge eating disorder than those who come from families without that history. Compulsive behaviors like binge eating can be learned, leaving children to believe these are "normal" and possibly start exhibiting them as they grow older. Additionally, genetic mutations passed down from generation to generation may contribute to the neurological causes discussed above. Yet all these factors have one thing in common; they trigger a strong compulsion to turn to food as a source of comfort or relief from negative emotions or experiences. For example, someone struggling to cope with past abuse may initially turn to food as a temporary source of solace or distraction. But before they know it that behavior becomes a habit that they seemingly have lost control of. It becomes a crutch that feels like a necessary part of life. Another environmental cause of binging that many don't consider is restrictive dieting in response to low self-esteem and the desire to fit into societal ideals of beauty. Often, people who suddenly decide to go on crash diets (or even begin displaying symptoms of anorexia or bulimia) to attain a desired physical appearance end up abandoning their restrictive behaviors and find themselves binging on the foods they were trying to deprive themselves of. These causes and risk factors are complex, and often people with binge eating disorder can relate to more than one of them. That makes it difficult to effectively control binge eating by yourself. Instead, professional treatment for binging is generally necessary for a successful recovery. Binge eating disorder can be one of the most difficult mental disorders to overcome because you can't simply avoid food entirely to stop binging. Instead, someone suffering with binge eating disorder must learn how to eat right and reform a healthy relationship with food. This can be incredibly challenging to attempt to do independently, which is why most seek out professional treatment. However, there are techniques to learn how to stop eating so much, stop emotional or stress eating, and how to control binge eating disorder and return to normal eating habits with the support of a professional treatment plan. This cycle then repeats itself until you are able to learn coping techniques to break it. With the help of a mental health professional, you can learn how this cycle personally affects you and the most effective strategies for coping with it. These strategies will most likely include intelligently avoiding temptation (like having no sweets in the house), learning to eat when you're actually hungry and not just bored, sad, or stressed, focusing on what you're eating and eating slowly (as a way to "make up" for eating less), eating regularly and not restricting yourself even if you've recently binged (this helps stop the cycle from continuing to the next step), and not avoiding certain foods entirely. Until you become consciously aware of how the binging cycle works and are able to identify what stage you're in, it will be nearly impossible to pull yourself out of it. But with professional help you'll be able to understand and identify what stage you're in (e.g. feeling out of control after a binge) and consciously take steps to avoid moving to the next stage in the cycle. Whether you find yourself eating when bored or after long, stressful days at work part of learning how to stop binge eating is to understand that food isn't truly helping you cope with these feelings but rather masking or dulling them so you don't need to address them head on. This means that you'll need to find help identifying what issues or experiences are leading to these negative emotions so that you're able to identify more constructive ways of coping with them. You can do this by talking to a therapist who can help you accept whatever negative experiences you're attempting to hide from. This might mean addressing the fact that you have excess anxiety about your social life or fear that past abuse is preventing you from living a full life in the present. Depending on your personal case, you'll learn how to stop associating food as a coping mechanism with these issues and that these feelings don't define who you are as a person or control your life. By doing this you'll be able to address the negative feelings differently (e.g. by journaling about the emotions, taking a walk, or calling someone you trust) and know how to stop depending on food to make you feel better. 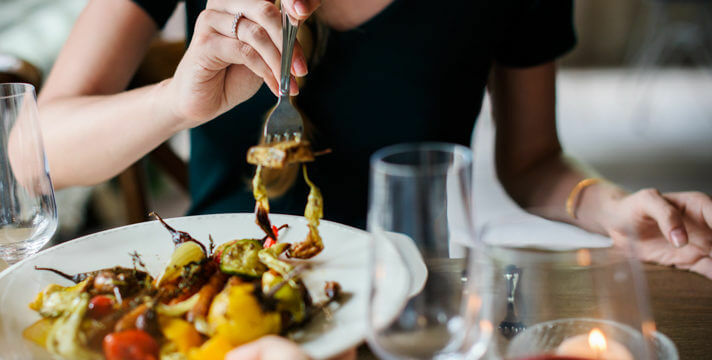 While binge eating disorder is typically caused by neurological and environmental factors, a significant part of the disorder is still connected to the food itself. Most people binge on foods high in fat and sugar, which are known to increase the cravings for those foods in the future. These cravings combine with the mental and emotional aspects of binge eating to make it even hard to overcome. Therefore, you need to learn good strategies for coping with the physical cravings that contribute to the desire to binge in order to successfully stop binge eating. These strategies are focusing on a return to good health (instead of weight or certain body image which can lead to dieting and restricting), removing tempting foods (e.g. if you typically binge on cookies don't make or buy them), keeping a food journal, creating and following a healthy and realistic (i.e. not too restrictive) meal plan, and having a support system to lean on. Learning how to cope with cravings as strong as those associated with binge eating disorder isn't easy. You need to have a plan in place for preventing the craving and handling them when they strike. By working with a professional you'll understand why these techniques are effective and know that you are in control of how you respond to cravings, not the other way around. If you related to the information in this article or find that you don't know how to control how much you eat, you might benefit from seeking professional help to deal with this issue. Don't let excessive eating continue to control your life and affect your mental or physical health. Treatment options are available to you. It's never too late. How Do You Get Treatment For Eating Disorders?